Think you know of a letter to or from Darwin that we haven’t found? Let us know! Although we already know of more than 15,000 letters that Darwin exchanged with nearly 2000 correspondents around the world, letters continue to come to light in both public and private collections, and we rely on the goodwill and support of archivists, collectors, scholars, and families around the world to make the corpus as complete as possible. The letters inform and are informed by one another, and our ability to understand the whole is increased with every letter we are able to add. The final volume of the Correspondence, with a supplement of all newly found letters, will go to press in March 2021. To be sure of appearing in the print edition, letters must be received by us by the end of 2020. If you are an archivist, a manuscript or stamp collector or dealer, or you have a family connection to one of Darwin’s correspondents, please search your collections, attics, and basements to check for letters to or from Darwin. If you can help, please contact us. A stamp collector in Michigan found a letter from Charles Darwin when he was throwing away the contents of old envelopes he had bought for their stamps alone. 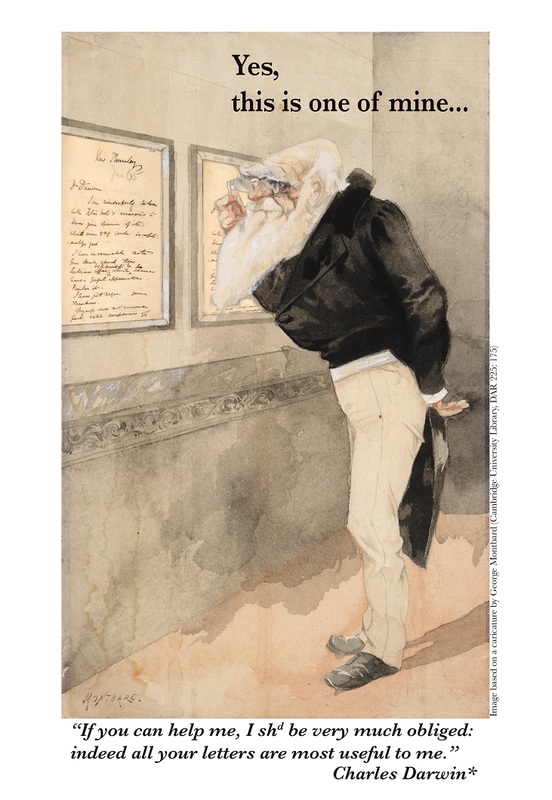 He had tossed the letter, unread, onto a pile to be discarded when a neighbour’s child opened it up by chance and asked where ‘Down, Beckenham, Kent’ was — Darwin’s home. He told her it was in England and when he looked at the letter he realised that the signature was Darwin’s. He contacted the Correspondence Project and sent us a facsimile. The editors established that the letter was written by Darwin in 1880 to a pharmacist in Chicago, Herod Dailey Garrison. It had been sent in reply to a missing letter in which Garrison gave Darwin some information on a case of inheritance. Further on case ofLycopodium: does JDH know any genera of plants whose species are variable in one continent but not in another? Discussion on variations between floras as regards species richness, and factors affecting geographical distribution. On species, CD expects "that I shall be able to show even to sound naturalists that there are two sides to the question of the immutability of species; – that facts can be viewed and grouped under the notion of allied species having descended from common stocks". Mentions books and papers for and against species mutability. CD believes past absurd ideas arose from no one’s having approached subject on side of variation under domestication. Thanks for the interesting case of inheritance.